The last blog post emphasized the importance of trading with a sense of inner peace. That peace comes from taking the ego out of what we are doing. 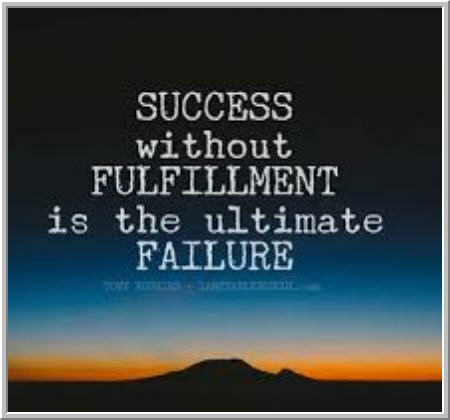 But there is one other key component to inner peace: fulfillment. One of the important distinctions that we find in the research on positive psychology is the distinction between happiness and fulfillment. Happiness comes from doing things that are fun. Fulfillment comes from doing things that speak to our values. The research suggests that these are relatively independent dimensions. Sometimes doing meaningful things is not a lot of fun in the here and now. Many things that are fun may not be meaningful. Quite a few life problems occur when we pursue fun without pursuing fulfillment. Then our success ends up, in the larger picture, feeling like a failure. Trading problems occur when we pursue trading as a source of fun and stimulation rather than as a career that can provide fulfillment. The overfocus on P/L is typically a focus on seeking happiness and avoiding unhappiness. It's in developing, following, and refining good processes that we can find fulfillment. When we have plenty of sources of enjoyment in our lives outside trading, we don't need trading for entertainment and stimulation value. Many, many trading problems occur because we're trying to get personal needs met through markets. Markets can't always be fun, and they don't always generate fulfillment. Working on having a positive life--one that is happy, stimulating, and fulfilling--is a great way of taking the emotional burden off our trading and allowing us to deal with opportunity (or lack of opportunity) as objectively as possible.